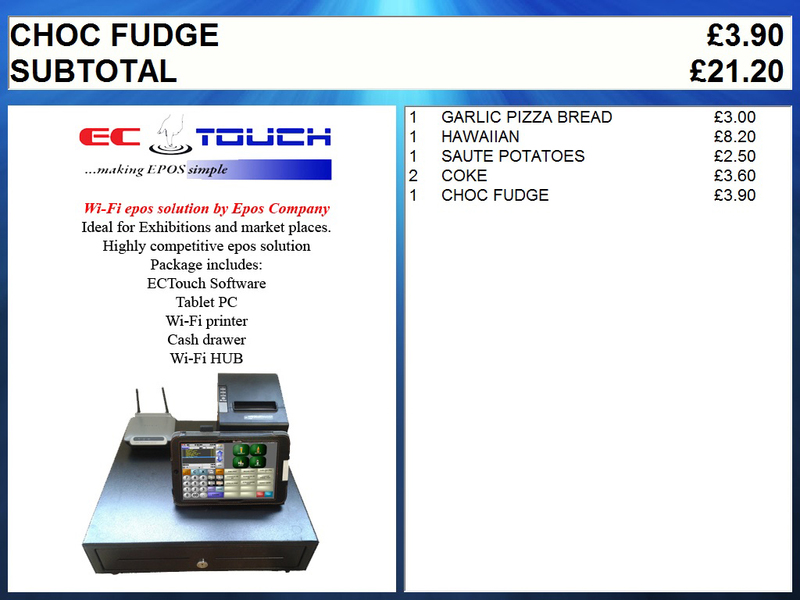 Combined with ECTouch you can now run a second screen to display your current advertisement while also working as a customer display. This is designed to be kept up to date with your latest offers, because of this all you have to do is drag and drop the image into a folder and it will automatically be added to the display. You can change how much of the screen is taken up by the advert and by the customer display.